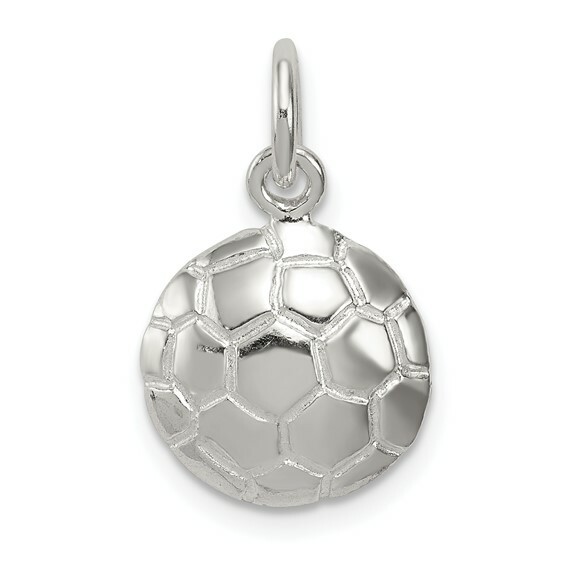 Soccer ball charm is made of sterling silver. Measures 7/16 inch tall by 7/16 inch wide. This charm is not 3-D. This charm is open back / concave. Weight: 0.87 grams.